In 2015, the US Supreme Court may have ruled that Aereo is breaking the law and shut down Aereo offered Cloud TV service. The good news is, the Cloud TV is not dead, it was reborn, better, stronger, with more features. CloudAntenna OTA DVR and Cloud TV running FreeAir.tv service is great alternatives to Aereo and it's still free and legal to get live, local Over-the-Air broadcast TV in HD! Just connect FreeAir.tv HDTV antenna and set up CloudAntenna OTA DVR. It's completely legal to record and stream that content to all of your connected devices for personal use. Just an old good VCR, well maybe you do not remember it, without any tapes to store. 1. It's legal, and here to stay. You own CloudAntenna OTA DVR and your all your HDTV content you record. Because CloudAntenna is a device that connects and stores broadcast HDTV programming received through your antenna locally, or in the cloud, and it's completely legal, and here to stay. CloudAntenna supports USB hard drives, SD Card, Network Drives and Cloud DVR for recordings which means you can record as many hours of HDTV as you want. Way more than anyone else provides. 3. Available throughout the world. CloudAntenna is not limited to specific cities in the US or Canada, it works around the world. CloudAntenna comes in 2 versions: CloudAntenna ATSC and CloudAntenna DVB-T/T2-S/S2 – between two of them, the entire planet is covered. You can set up FreeAir.tv HDTV antenna and receive broadcast TV signals anywhere within range (<60 miles) of major network broadcast towers. Or you can use satellite version of CloudAntenna to connect to satellites which cover the earth. Not sure if you can get HDTV with an antenna at your house? Check out our handy HDTV Channel Search Tool to find out which channels you can expect to receive. 4. Local and remote. Watch anywhere, anytime. CloudAntenna operates in two modes: local and connected. When you use CloudAntenna OTA DVR recordings locally, you can access your recording instantly without relying on the network connection. 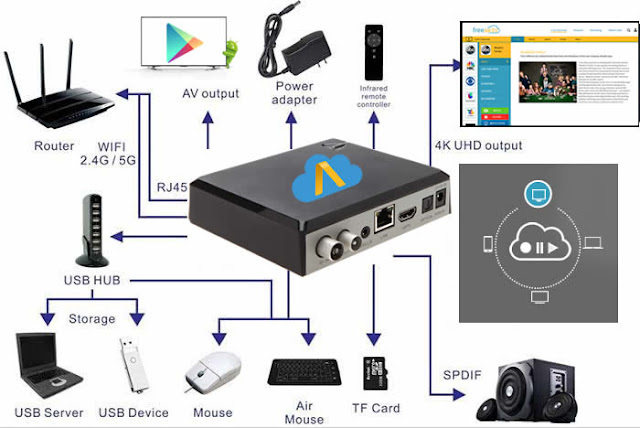 In connected mode, CloudAntenna provides you with Cloud TV service by FreeAir.tv thus providing a far superior experience when watching your favorite HDTV programs. Join the thousands of cord cutters who call themselves TV Rebels and love their CloudAntenna. CloudAntenna lets you browse, record and watch free HDTV broadcast TV signals, anytime and anywhere. You can connect it directly to your TV using HDMI, or using your home network and stream to any screen, inside or outside your home! having issues I have fire tv will it work with just the fire box? or do I have to get a dvr? just want to view my local channels. having trouble with install! You can lease one from us for $4.99 per month to get started! Thanks for a good post. I also encourage you to visit this page about best phone tracking software. Hi, its a nice blog. You have shared here useful information about cables & Electrical Wire Manufacturing. This blog is really interesting and gives me good details.please Keep up the good work and writing continue. Thank you for this important information! I really appreciate your hard work and the importance of content you have in your blog. I understand that I won't find it at reviews on EduZaurus.com or at any other resource. This is very valuable for me.